Recently, we advised that the classic expense claims function would be retired on 31 January 2019. It’s become clear that we misread the impact that retiring classic expense claims would have on some customers – and we’re sorry. As a result, we’re now going to keep classic expense claims running as well as roll out the new Xero Expenses function. If you were using classic expense claims in the six months prior to 10 July 2018, you can continue using it for the foreseeable future. You’ll also be able to try out Xero Expenses for free until 28 September 2018. From 10 July 2018, Xero Expenses will be available to all new and existing standard and premium plan customers within New Zealand. This new tool takes a modern, mobile-first approach – giving accounting and bookkeeping advisors powerful visibility into how money is spent in their clients’ businesses, while simplifying a complex, time consuming and paper-riden process for small businesses owners. Because of the number of people involved in an expense process – the employee claiming the expense, the staff member responsible for approving and processing the expense, and the person who pays the expense – it can often become a disjointed and time consuming workflow. Xero Expenses reduces the hidden costs of processing expense claims for small businesses and saves many hours, while giving advisors even more insight to best advise their clients. Employees can now simply input expenses from their Xero Expenses app, and have the expense automatically transcribed (or manually inputted) in the Xero platform. The expenses can then be approved for reimbursement, or categorised, by the business or their advisor for quick filing. Xero Expenses is embedded within Xero and for the first time businesses and advisors will have a single view of their spending habits directly from their accounting dashboard. 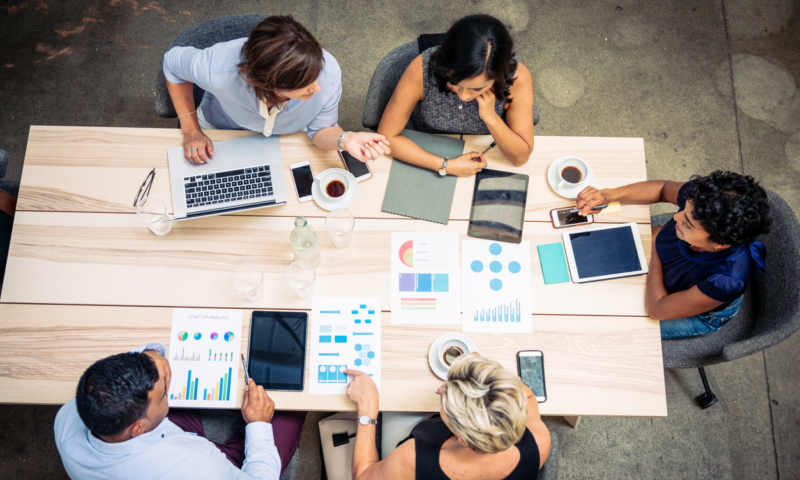 As more information is gathered, advisors will be able to provide higher value advice on client spending decisions to ensure they are making effective decisions across the company. Building on the Xero financial web, in the coming months the Xero Expenses API will allow third party applications to deliver additional services and functionality to the millions of small business employees using Xero. From 10 July to 28 September 2018, Xero Expenses will be available for free, to all new and existing customers and partners on standard and premium plans. From 28 September 2018, both standard and premium plans will increase in price by $5 per month. Standard subscriptions will be $60 a month, while premium pricing becomes $75 a month, both excluding GST. This pricing includes one active Xero Expenses user with subscribers paying an additional $5 per additional active user. For more information on how to access Xero Expenses and what this means for you, please see the FAQ directly below. 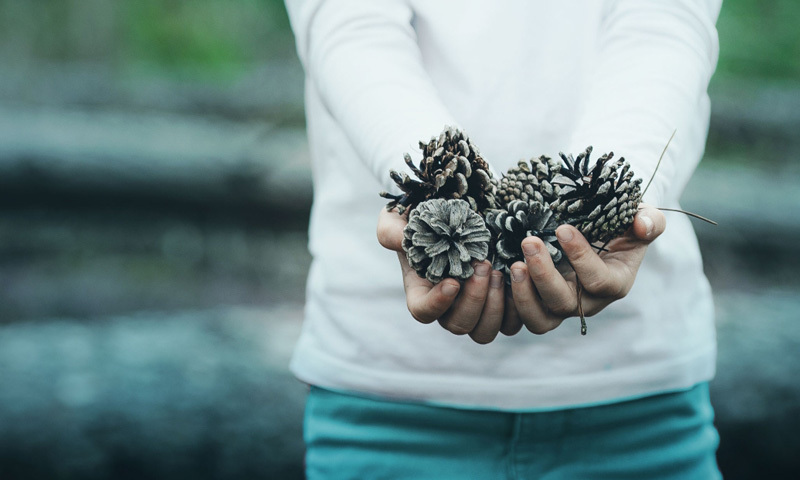 Q: How is new Xero Expenses different to other online solutions? The purpose of Xero Expenses is to improve the experience of managing expenses by increasing the ways our customers can automate the entry of data into Xero. It’s usually the case that you can get more out of the Xero platform when using specialised integrated apps and this remains the case with Xero Expenses. For more information on using Xero Expenses alongside third party apps, visit our app advisory playbooks. 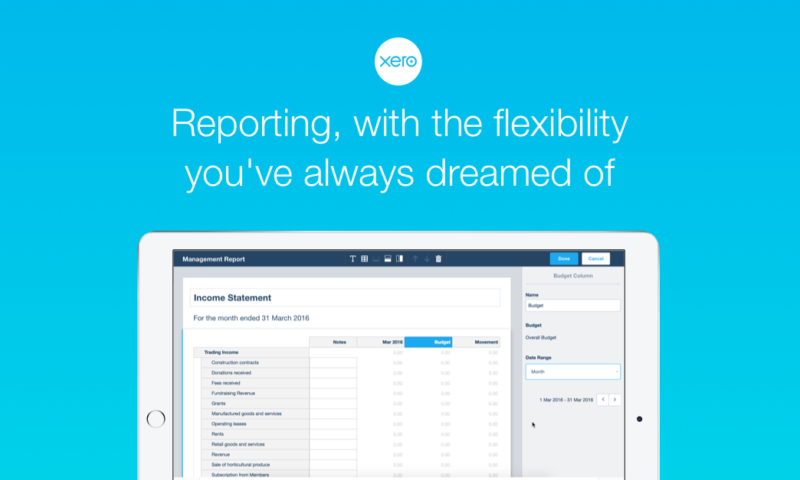 Q: Why Xero Expenses vs Excel spreadsheets and emails? Customers and accountants have to process expense claims as a normal part of doing business. It is the manual, clunky process handled outside the accounting platform that is the cause of the pain by running this process with Excel and emails and drives the hidden cost to you. While you don’t have to pay for Excel there is significant cost in your time and frankly, energy sucked from using the wrong tools to do the job. Excel was built to handle calculation and analysis like forecasting and budgeting. Emails serve the purpose of communication (kind of quickly). Neither of these tools were built with the intention of processing an expense claim through the several parts of that currently disjointed process. Automating the process alleviates that pain you are enduring and reduces the hidden cost you are paying. Q: How do I get started with the new Expenses? From 10 July 2018, under the Accounts tab in your Xero account, you’ll see a new option labelled Expense claims. The first time you click on this, you’ll receive an introduction message and be guided through a quick three-step set-up process, including: 1, Selecting your expenses users; 2, Selecting the account codes you want to be able to match expenses claims to; and 3, Accepting authorisation of receipt scanning. Q: What is the simplest way to migrate from my current expense claiming tool? We recommend keeping the workflow current so you don’t accidentally double enter data. Make sure you close off all expense claims from your old system and export a copy of all completed claims for your records. If you’d like a copy in Xero for record-keeping purposes (IRD requires you to keep all business records for seven years), you can upload a copy into the Xero files library or attach a copy directly to the applicable transaction. Once you start using Xero Expenses, you’ll enjoy a full record for your expenses in Xero and attached to the applicable transaction records. 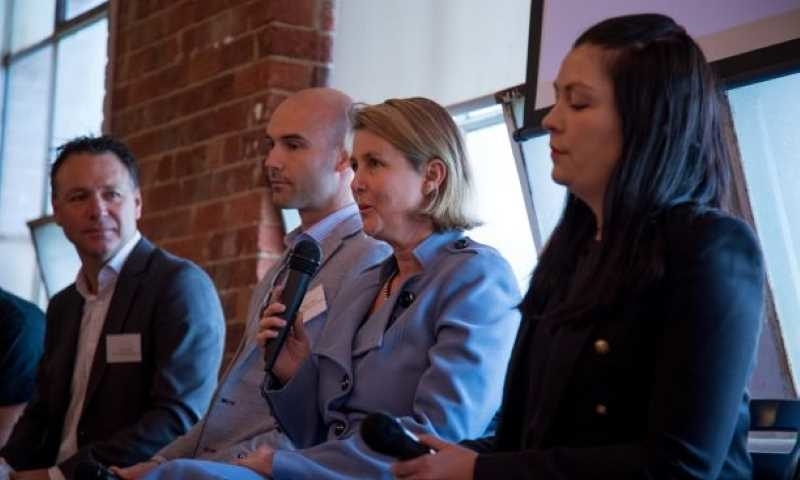 Q: How will I know how many of my staff will be charged for the Xero Expenses? The new Standard and Premium plans include expenses for one ‘active user’. Any additional ‘active users’ will cost $5 each per month. A user is an ‘active user’ if one or more (there’s no limit) expense claims is assigned to that person in a month. You’ll be prompted when you first use the new expenses tool to confirm which staff members can access it and it’s easy to manage these users in your Xero permissions settings. Q: When will I see the changes on my invoice from Xero? The price changes take effect from 28 September 2018 and will show on invoices from this date onwards. The change-over invoices will likely have two lines – the period up to the price change and the period after the change. Q: If there’s another Xero plan that works better for me/my clients, can I change? Yes, you can upgrade or downgrade from My Xero and the pricing plan will automatically change. Please note that you can only downgrade pricing plans once every 30 days. Hey guys- what if we don’t need or want Xero expenses?? Just another way of dressing up a price increase really. Poor form. How about charging your overseas customers more since we subsidise them, and have done for years. @ Mike Thanks for your feedback. This isn’t about us dressing up a price increase though, we see real value in the new Xero Expenses feature and the time it can save small business owners and their advisors. Unfortunately, Xero Expenses is a specific feature within the standard and premium plans that is not charged for separately and therefore can’t be opted out of. We develop all our plans based on the core needs of our different customer groups which is why you’ve seen the addition of Xero Expenses. I’m sorry in this instance it hasn’t hit the mark for you but I hope you still see the value of Xero. Regarding our pricing, we are confident that it reflects the value of local features delivered in each market and is fairly consistent across the regions. @Sam, Mike is right on the money about the the NZ customers subsidising the overseas customers as far as I can make out. You only need to look at the pricing in other countries to see that. Sure looks like we get the raw end of the stick don’t you think? Our pricing reflects the value of local features delivered in each market – all of which differ slightly region by region. So, while I can appreciate that a direct conversion may appear as though NZ subscribers pay more than others, there are more variables to consider so it’s not quite that simple. Michael, Australia is not getting a price increase for their standard plans too. Plus it looks like they get a choice whether Expenses is added or not. We are getting the shortest end of the stick for sure. @Mike I’m with you here. I have zero use for the new Xero Expenses and would suspect I’m not the only one in the same boat, yet the price goes up for everyone! It’s’ really poor form !! If you don’t want to lose customers, I would highly suggest making another plan option, one between your starter plan and your standard plan without this extra add on. I personally have started to look elsewhere, because if this goes through there is no longer a suitable plan for my current business size. Even your starter plan hasn’t allowed for business growth. There should be unlimited quotes for us to attempted to get work flow in. we are not guarantee the work we quote on…. We develop our plans based on the core needs of our different customer groups. I’m sorry that in this instance it hasn’t hit the mark for you but I hope we get the opportunity to prove to you the value of Xero. If you’d like to speak to someone further about this please let me know and I can set it up. First petrol, now this – your timing isn’t great for small businesses and I don’t like being forced to pay for something I don’t need. Just dropped massively in my estimation, only a few weeks ago I was recommending you. Thanks for taking the time to send through your feedback. Our plans are developed based on the core needs of our different customer groups, I’m sorry that in this instance we haven’t hit the mark for you. If you’d like to speak to someone further about this, please let me know. None of my clients want or need this new “upgrade” please leave us on the old rate!!!!!!!!! “Price will never go up as long as I am associated with the Company”. Quote from Rod Drury. The price was $49 then and partners got 50% of that!!! Everyone’s biggest fear was that your Company would get the hook into us and screw us. How right we were. You change the goal posts every six months!!! Like our invoicing, Expenses is a specific feature within the standard and premium plans that is not charged for separately and therefore cannot be opted-out of. Our plans are developed based on the core needs of our different customer groups and we are confident the pricing fairly reflects the features and service appropriate to our customers’ needs and size, and the functionality the new Xero Expenses offers. Re. Rod’s comment, this was in relation to the original Xero offering in New Zealand and not charging more for the same thing. Since that time, our offering has changed beyond recognition to what it is today. To help communicate the changes to your clients, you can use the email/letter template we have supplied. If I have 10 employees in a month that submit an expense claim, currently I do not pay anything extra. Will the current method remain or are we all forced to change to the paid expense app where we end up paying $ 50 extra per month if those same employees submit an expense? At the moment, you supply software for small businesses with a low cost threshold and in one move that changes the cost structure completely. Was this the intention? The current expense claim feature is being replaced by the new Xero Expenses. From January 2019 the current feature will become read only, this does mean you’ll need to migrate to the new feature before then. 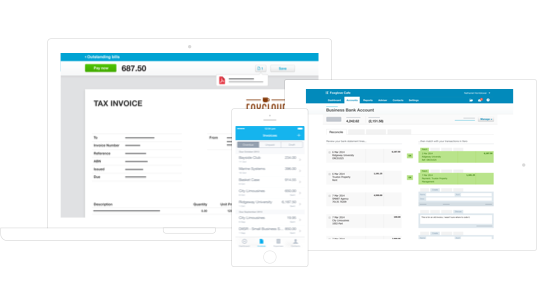 We built Xero Expenses as a dedicated expenses application to make it easier for you and your employees to capture, transcribe receipts and complete expense claim submissions. It also brings new features including mobile (smartphone) accessibility, easy review and approve workflow, user permissions and analytics to understand what is being spent and by who. After careful consideration of the market, we are confident that our pricing fairly reflects the features and service appropriate to our customers’ needs and size, and the functionality the new Xero Expenses offers. If you’d like to talk to someone further about this let me know and I can set it up. I agree with the sentiment of other commentators. Disappointed that this feature is not being offered as an opt-in add-on as you have done for projects/payroll. A useful feature for a minority – but as a gold partner, for most of our business plan clients, it is not suitable/asked for. Xero encourages bundling fixed service pricing, then gives its partners 3 months notice of a (close to) 10% price increase – bad form. Who was the bright spark that thought masking a price increase in the guise of a new “minor feature” and not foreseeing a backlash from its partner community. Because lets be honest, there have been far better enhancements added in recent years and so while a modest price rise could be justified – just give us fair notice. For the first time in 4 years, I find myself looking up MYOB’s pricing models. Not because I’m particularly enamored to their alternative – but out of concern as to what this approach signals in respect to trust in Xero. This isn’t about us masking a price increase though, we see real value in the new Xero Expenses feature and the time it can save small business owners and their advisors. We have taken a lot of time to analyse the market and are confident our prices fairly reflect the features and service appropriate to our customers’ needs and size, and the functionality the new Xero Expenses offers. We also worked closely with a number of accountants and bookkeepers to understand the administrative overhead associated with the changes. We believe that approximately three months is a fair and reasonable notification period. I’m sorry to hear you’re disappointed though – it’s certainly not the result we were looking for. If you’d like to speak to someone further about this please let me know and I can set it up. I echo the sentiments of others on this thread. I’m a sole trader and don’t require the expense claims functionality. I could barely justify the cost of Xero and that was prior to the last two price increases. Why not provide it as an optional add on as you have done with payroll and projects If it offers the value as claimed, it will sell itself, otherwise as Mike says its, simply another price increase. I appreciate your position and I’m sorry that in this instance we haven’t hit the mark for you. We are working on a few different streams of work though which will provide functionality that will also be useful to businesses without employees using Xero Expenses, so please do keep an eye out. @Sam, When can we expect these different streams to come into effect? And will there be another price increase for these as well? I’m seriously considering moving away from Xero to Reckon or something similar. From today (10 July), new Xero Expenses will be automatically included in Xero for anyone on New Zealand standard or premium plans. Initially there’s no extra charge, but from 28 September 2018, the monthly subscription price will increase as a result of this new functionality. This means that standard subscriptions will be $60 a month, while premium pricing becomes $75 a month, both excluding GST. This pricing includes one active Xero Expenses user and then subscribers will pay $5 a month for each additional user. That’s a shame! I just came on board here to initiate the expense claim feature and am disappointed at this news. If this is the case then I’ll continue to chug away with the faithful spreadsheet. Hope you don’t intend to start adding charges for uploading files! No need to reply Sam, I’m just letting off steam and expressing disappointment as I know you appreciate feedback. Also, the standard spiel of “not hitting the mark” is wearing thin and weakens the sincerity of your apology. Thanks Margot – I know you said there was no need to reply but let me know if you’d like to chat to anyone further about this and I can set it up. Hi – this appears to be another example of the “beautiful software” only being beautiful in relation to increasing costs for functionality that is not a need but a want – not only a want but a need (actually a want) as defined by the developer and not the user – this is kind of back to front don’t you think? or some might use the term ridiculous or even narcissistic or dictatorial. How about you take on a suggestion – instead of making this a mandatory add-on – why not make it a an option that can or cannot be added depending on need. I can see by your replies above that you are not even interested in what the user is suggesting – why not? We still need finance charges built into the Sales module – yet that is not happening as far as I can see – please advise when this essential functionality is going to be addressed and go-live? Re. finance charges being built in – a useful blog that outlines some of the complexity of deciding what next to build is here. For details on some highlights of new features, take a look at the feature timeline on xero.com or add your vote on the feature requests in the Xero Community. If you’re interested in speaking with someone further about this please let me know. I guess you’ve done a customer analysis survey & your shareholders have decided the sole trader isn’t going to generate enough revenue for them moving forward. Like everyone else here, while I do love Xero – for me, it is expensive & I won’t get a lot of benefit (personally) with this new feature that I’ve never requested. How about auto-statements, that’s been a feature request for years (& where is it?!). If you were increasing your price for a feature like that, then I probably would be happy to absorb the price increase, as I would get an awful lot of benefit from it. I find it disingenuous on your part to not offer this in as an opt-in feature, or, would you care to share the results of the survey you undertook which overwhelmingly points to the fact that we (all) actually want this feature & are happy to pay for it? Perhaps I’d feel happier about it then? It’s actually not the price increase that really aggravates me, but the fact that this is a fait accompli & we have xero choice in the matter. Sad to say but today I’m going to start looking for an alternative. Thanks for your feedback and sorry to hear you feel we have been disingenuous – that certainly wasn’t our intention. We develop all our plans based on the core needs of our different customer groups which is why you’ve seen the addition of Xero Expenses. I appreciate it’s a tough position for sole traders but we are working on a few different streams of work to provide functionality that will be useful to businesses without employees using Xero Expenses. I hope we get the chance to prove our value to you. Re. 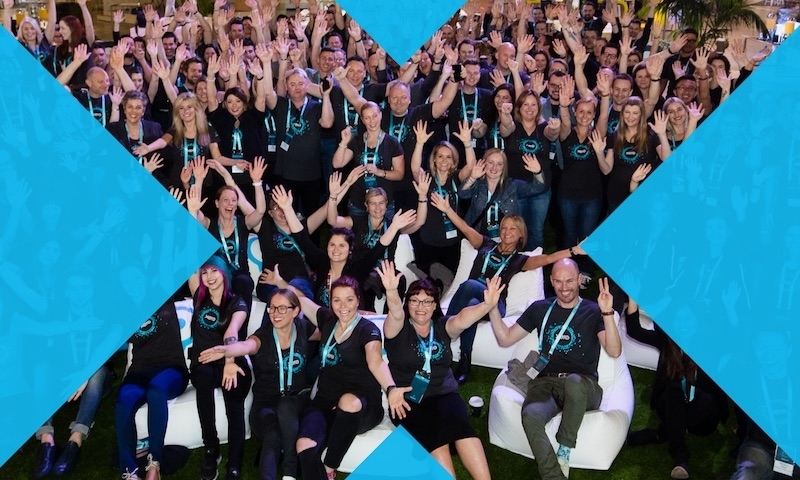 other features, we have invested more than $500 million in R&D since Xero’s inception and delivered a huge range of new features that make it easier to do business. This blog outlines some of the complexity of deciding what next to build and you can see our feature timeline here. This is crazy. You are already going to be charging $5 for each extra user who uses the system anyway… so why make it a $5 increase for everyone regardless of whether anyone uses the feature (just to include the first user free)… why not just charge for each user who uses the new expenses system full stop! Don’t use it, then you don’t pay. That way, those who have no interest in the expenses feature will not be paying $5 for it with no gain in functionality. We’re a charity, and we’ve been unable to use the old expenses feature up until now, as the permissions model (or lack there of) made it completely unusable for our needs. Finally you release something that might start to work for us, but the pricing puts it completely beyond our reach. Not at all impressed! And to add insult to that, we now we get to pay extra money every month for the privilege of not being able to afford the new feature we might want to use! I hope someone re-thinks this idea…..
I’m sorry you’re frustrated. We develop all our plans based on the core needs of our different customer groups and are confident our prices fairly reflect the features and service appropriate to our customers’ needs and size, and the functionality the new Xero Expenses offers. As a charity though, you will continue to be eligible for a 25 percent discount which we hope may make things easier for you. If you’d like to talk to someone about this please let me know. Thanks also for the flag on the blog date – will look into that. Yes please. I would like to speak to someone about this change. Sure, someone will be in touch in the next day or two to discuss your concerns. ps. Why is this Blog post listed as being posted a year ago? (July 2017). I agree with everyone’s sentiments here – I run a small bookkeeping business with a number of very small businesses as clients and pushing the price up for their monthly subscriptions for a feature they’re not going to use is going to be a bitter pill to swallow. It’s hard enough to run a small business when your monthly expenses are adding up around your ears! You’ve made a lot of money from a lot of loyal people over time and rather than creating an optional module you force it upon everyone, whether they’re going to use it or not. Thank you for your feedback. I’m sorry you’re disappointed, that certainly wasn’t our intention. To help communicate the changes to your clients, you can use the email/letter template we supplied and send them the details for the webinar to showcase Xero Expenses. If you’d like to speak with someone further about this, please let me know and I can set it up. I have been asking since Xero began over 10 years ago to give advisers the ability to switch off Expenses. We have very few clients who would benefit from it, it creates extra working at our end and they don’t need it. This is most certainly an unwarranted price increase which will not be well received by clients and certainly make it harder to sell to clients. I expect a number of our clients to drop down to the Cashbooks and look for an alternative invoicing option. Disappointing decision Xero, please revisit. Sorry to hear you’re disappointed – that wasn’t our aim. Thanks Sam. I appreciate you are copping a bit of flak here but you are missing the point. We don’t want clients to use expenses and they don’t want or need to use expenses. Our standard policy is the hide expenses from the Dashboard. It’s an unnecessary and unwanted feature for small businesses. And they don’t want to pay for it. This is plainly a price increase. And we will have to call it that when explaining to clients otherwise, as their trusted adviser, we just look silly. Yes I would like to speak to someone please. Thanks Debbie – understood and sure thing – I have spoken to your account manager and she will be in touch to discuss this further with you. Hey remember that innovative Expense Claims feature that has been part of Xero since it started? But don’t worry – they’ve released ‘New Expense Claims’ and it’s even better! With Xero Expenses, the entire expense claim process is automated within the Xero platform – providing, simplified workflows, powerful analytical tools, API connections and integrated accounting. It gives our partners and their clients deeper insights and more control over their expense claims and spending on one platform. We are confident that the time saved and the hassles eliminated with new Xero Expenses service will be worth it. If you need help communicating to your clients, please feel free to use the email/letter template we supplied and send them the details for the webinar to showcase Xero Expenses. I think we can say the comments are unanimously negative on the price increase by stealth for the country with the most expensive Xero subs in the world. I understand that Xero needed to remove the old expenses claims as they are clunky, hard to maintain and holding the product back. However cutting out the sales pitch, from a subscribers point of view we currently have a flawed but usable expense claim system for unlimited users included in the monthly sub of $55. We are losing this and it is being replaced by an improved version that we have to pay $5 extra for it even if we don’t use it (if we do use it then it is $5 per user/mo for users 2+. This could get very expensive quickly). So we are actually paying more for less. Sam – you commented that the new expenses are core part of the product and can’t be unlinked. I don’t think you are being entirely straightforward here. The starter plan doesn’t include expenses so it is obviously easily unlinked from the product. Xero could have keep the subscription price the same and not included 1 free expenses user, that would have been a fairer approach – we would then have choice (although still have lost the old unlimited users expense claims). Way back when Xero was young (and NZX listed and with a NZ CEO) multi-currency was added to the standard product. Rather than force it on all users, it was made an optional upgrade – and grandfathered in so if you had a standard version of Xero you could turn on multi-currency for free. Why not do the same for expenses? We truly don’t think that it’s a more for less situation though. With Xero Expenses, the entire expense claim process is automated within the Xero platform – providing, simplified workflows, powerful analytical tools, API connections and integrated accounting. It gives accountants, bookkeepers and small businesses deeper insights and more control over their expense claims and spending on one platform. It’s a superior product and we are confident it’s going to be worth it. Re. your comment about not being straightforward – that’s certainly not our intention. To clarify, much like our invoicing, Expenses is a specific feature within the standard and premium plans that is not charged for separately and therefore cannot be opted-out of. Xero Expenses does not equate to zero expenses! Everything is just going to become more expensive. No, you haven’t hit the mark…but you’ve definitely hit me in the pocket. We don’t need, want and didn’t ask for this feature. And we did not have any input into this decision to add more unwanted ‘features’. See you later xeros. Thanks for taking the time to pass on your feedback. We develop all our plans based on the core needs of our different customer groups which is why you’ve seen the addition of Xero Expenses. To take a look at other features coming up that might be more relevant for you, please see here, or you can add your vote on the feature requests in the Xero Community. I hope we get a chance to prove our value to you. As with the other here. This is just a compulsory price increase. I have two companies here on xero that will now be paying more for features not needed. We are a captive market of users… but, if the price just goes up every year or so, I am sure that a competitor will see the opportunity, and step in to fill the void. Personally, I can’t believe that I am paying $110 per month… $1320 ish per year just to have an online cashbook for a couple of companies. Add in trusts, and personal accounts and the possibility of future companies…. xero turns out to be a pretty costly annual expense. If anyone has another option… I am very open to it. I appreciate that if you don’t use any expenses feature, this is a tough change for you. I just wanted to make sure you’re aware of Xero Community, where Xero customers can give votes for feature requests that are most wanted. https://community.xero.com/business/ We hope you’ll allow us to prove our value to you. @Ben Try Reckon as they are cheaper and from what i can see about the only difference is they dont’thave IRD integration to file GST returns direct to IRD. Wave is also FREE to use, not sure about NZ GST returns though as they are US based. Good luck, I’m actively looking at other accounting packages after this round of subscription increases from Xero and the total lack of understanding towards their customers. Hi Michael, sorry to hear you’re looking elsewhere. We would really like to chat with you before you make any decisions though – one of our team will give you a call in the next day or two to see if we can allay some of your concerns. I’m another user that has multiple small businesses that don’t, and will never need to, use expenses. Can you please make it an add-on like payroll for those that do need it. Its borderline economic as it for an electronic cashbook. Shame, as I like supporting local businesses like Xero. Thanks for your feedback. I appreciate that if you don’t use Expenses, this is a difficult change. We’re currently working on a few streams of work which will provide functionality that will also be useful to businesses like yours that don’t use Expenses. We hope you’ll stay with us and allow us to prove our value to you. We too are a small business with no need for the expenses module, and object to the plan price increase on the basis that the justification for the cost increase is of no benefit to us. Xero is getting expensive relative to other similar software and, while I enjoy Xero’s cleverness, I’m starting to regret moving over from MYOB last year as it is just costing us so much more to do the same work (albeit a bit more cleverly). Please please please review your price increase and make the expenses functionality opt-in only. I’d also love to see a full plan utilising all Xero add-ons (payroll, expenses, projects) at a set monthly price independent of number of employees – this structure make purchasing them all cost prohibitive. I’m sorry to hear you’re starting to regret the move – that’s not at all what we want. I appreciate as a business which doesn’t use expenses this can be tough to swallow but please bear with us – we are currently working on a few streams of work at the moment which aim to benefit those who aren’t Expenses users. I will pass on your feedback around a full plan with Xero add-ons at a set monthly price too. 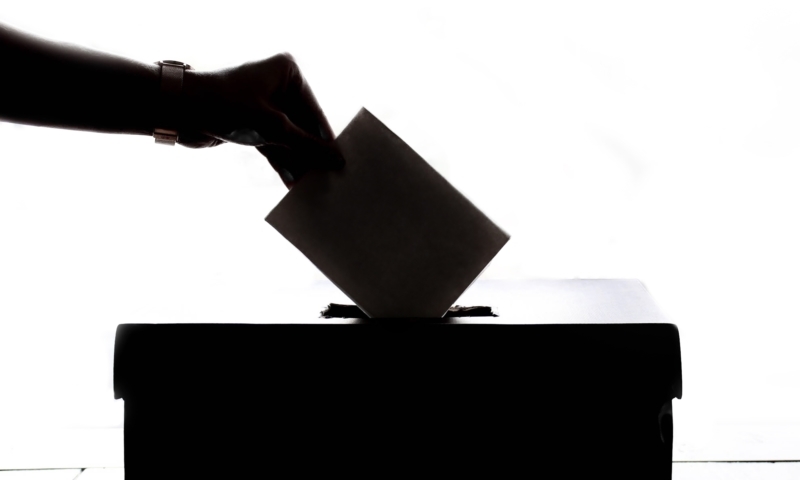 Or if you’d like to you can add your vote on the feature requests in the Xero Community: https://community.xero.com/business/topic/23/. I agree with all the posts here regarding the price increase. You’re hiding behind the “new” expenses in order to get at the majority of my clients who do not use the old expenses and will certainly not be interested in using it now. Our account manager seems to have been to the same corporate training in deflecting complaints about the price increase as he too is going to pass them on. Come on Xero you’re better than this! It’s also interesting that you have not managed to arrange one post supporting the increase. I’m sorry you’re frustrated. It’s not a matter of us hiding though, we see real value in the new Expenses feature – it’s a powerful tool which offers advanced expense management within the Xero platform. However, I understand it’s a tough situation for those who do not use any Expenses functionality. We are currently working on a few different things that will be useful to those businesses so please bear with us on this. Can I just check in on the “active users” count for expenses. If one person registers a receipt and another person approves the reimbursement is that 2 active users? This would mean you can’t use new Expenses with only 1 user. I’m assuming not but that’s how Expensify works I believe, so perhaps best to be explicit about what a “user” is. Hi Rob, here’s a Xero Central article which should cover all your queries: https://central.xero.com/s/article/About-expense-claims-NZ. To quote directly from this article, you’re considered an active user if you submit an expense for yourself, or someone else submits an expense on behalf of you in the month. You won’t be considered an active user if someone else views your previous expenses or if you’re approving or declining expense claims for others. Hope that clears up your question – Joanne. Reading through all these comments it’s clear the only people that “see real value” in this is Xero…. cost is a big factor and all your doing is pricing yourselves out of the market. We are certainly evaluating alternatives now, something we wouldn’t of considered previously. Thanks for taking the time to send us your feedback. We’ve worked closely with small businesses, accountants and bookkeepers to build Expenses. We’re confident the price fairly reflects the functionality and value it offers businesses and their employees. Sorry to hear that you are thinking about alternative options, but please do give the new Expenses a go before you make your decision. Don’t even get me started on the whole rubbish of “here’s a new feature we’re opting you in to and charging you more for that we think you’ll love even though we didn’t ask you first”. I just want it back how it was please. You can return to classic Expenses by removing the Expenses user role for anyone (including yourself) via User settings in Xero or from within Expenses (if you are an Expenses admin). Removing your user role in Expenses will prompt a splash screen after clicking on ‘Expense Claims’ under the ‘Accounts’ menu. That splash screen will have a persistent link back to classic expense claims. In the Xero Business mobile app, after Expenses user roles are removed, users will be free to create receipts in the classic product again as well (after tapping on ‘I want to be repaid’). 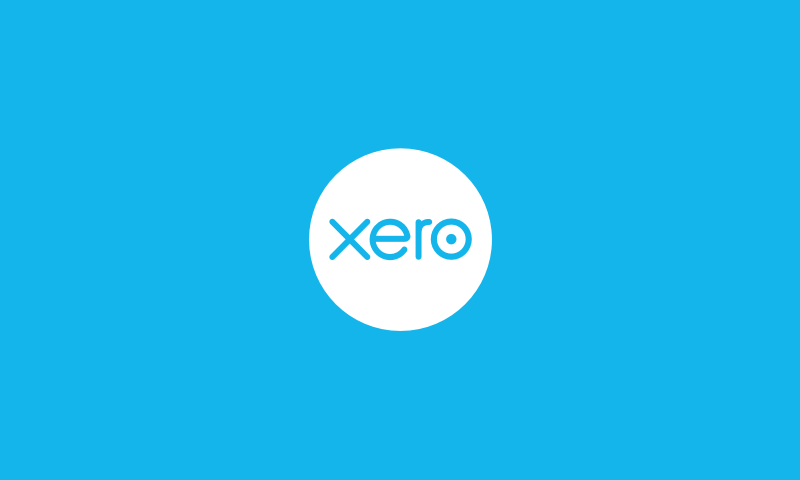 Hi – I’ve used Xero for the past 6 years for my small business & have loved it. I do not love being given a price increase dressed up as an added value feature I don’t want. For those who have mentioned other on-line accounting products in these posts, I use Wave for a charitable trust I’m involved in, it doesn’t have the functionality of Xero, but it does the basics, including linking to bank accounts and invoicing. Interesting to learn about Reckon while reading through these comments. I’d prefer not to have to look around at alternatives to Xero but I am very disappointed with the approach Xero has used for this price increase. Yep I’m with Mike. Don’t need this new feature and sure don’t want to have to pay for something we don’t need at a 9% premium/mth. We know this is a tough change if you don’t have a need for the new Xero Expenses. However, we are working on a few different things at the moment which we’re confident will add value to those customers who are sole traders or who doesn’t use Expenses. We hope you’ll allow us to prove our value to you. Is this a case of a company chasing after the corporate type business and forgetting their grass roots base? I have no need for an Expenses function, but can see it could be useful for a large conglomerate with multiple staff. Surely it would have been better to just be up front and say the prices need to go up instead of making it appear that we needed to pay extra for a function that many of us do not want. Perhaps Xero was asked for a better Expense system, but to me it sounds a lot like the confident person who asserted that if he made the world’s best mousetrap, the world would beat a path to his door… Good marketing, well done! Why don’t Xero concentrate their efforts on improving the functionality of the existing product? Why, why can’t I choose to select information by company name rather than amount paid when I reconcile my payments? I would also like to be able to load recurring invoices without a schedule. It would be great to have them saved and generate them when I need to. I changed to Xero because of the ‘clunky’ nature of my previous accounting program (Accomplish) – I am paying more per month for the privilege and while I do enjoy some aspects of Xero, I am disappointed that what I consider basic functions (sorting by name and the option of unscheduled recurring invoices) are non-existent. I can understand that if you’re a business that doesn’t use Expenses that this has been a difficult change for you. It certainly wasn’t our intention to not be up front though and I’m sorry it’s felt that way. We use the new Xero expense app and find it invaluable to the efficiency of processing reimbursements, well done on that front. I would happily pay $5 more per month for this feature, but $5 PER USER? This is crazy – we are a charity organisation and have 5-6 staff potentially using the app which would mean $25 PER MONTH ADDITIONALLY! For us that is 42% subscription increase just for that feature. WHAT? How do you justify this for anyone, let alone a non-for-profit organisation? I completely agree with all the above sentiments. A review of all products available is on our upcoming agenda. Wave and Reckon are mentioned as alternative packages and I would appreciate any other suggestions. Also alternative practice management software, as we only “fell into” XPM that as a solution due to nil cost structure. Sorry to hear that you’re considering alternative options. If you’d like to speak to someone further about this we would love the opportunity to prove our value to you. Please let me know and I can arrange this. Why does it cost so much for this new feature? I have team members who submit one $5-$10 expense claims for milk a month . To use this functionality I have to pay $5 just to process it in xero for that user! My team have company credit cards if they have lots of expenses, (and this functionality doesn’t work for that). And before someone from xero says we see real value in this as we have developed APIs blah blah, you have lost touch. I would like to use this new functionality, but it is ridiculously expensive. Why must we pay for new functionality such as this? All technology including Xero must evolve. Otherwise xero will become outdated and clients will look at other alternatives. Within the subscription I already paid I expect new features from time to time. Not to have to pay increased rates every time you release them. Especially of the old function didn’t really work, which it sounds like this is the case. And finally you have only maintained the old expense claims if we used them in the last 6 months! What if we haven’t used them in the last 6 months? When we needed expense claim functionality we didn’t change our business processes to use the old function as we anticipated this new function and were on the trial program. But we didn’t anticipate not the ridiculous costs that come with it. The old expense claim function should remain regardless of when someone last used it. Thanks for taking the time to give us your feedback. We rarely make changes to our pricing model and often release new features and product improvements. We analysed the software market very carefully before making our pricing decision and are confident that the Expenses pricing fairly reflects its superior value and experience. We made the decision to allow classic expense claims for customers who had used them in the previous six months as these users were the most affected by the change. If you’d like to speak to someone about this further please let me know and I can arrange this. I have passed your feedback on, and someone will be in touch with you in the next day or two to discuss your concerns. Thanks for your feedback and sorry to hear of your frustration. I appreciate that this has been a tough change for you as a sole trader. We are working on a few different streams of work though which will provide functionality that will also be useful to businesses without employees, so please do keep an eye out. D day has arrived and I came back to this “forced price increase” for no functionality. I don’t need to list all my problems the messages are clear here Xero. People who do not use Expenses at all should not have the price increase. You claim is not able to be opted out yet it requires me to opt in. And still a ludicrous claim that a feature cannot be excluded when it can be turned off per user. Let alone for a software company that has tiered price anyway. For any company that would have a handful of users Xero is basically doubling in price. I am glad you decided to leave the old one active. That is all some of us need. And we do not want the $5 increase for something that will not be used. The other point I am strong on is the comment about feature improvements. The reason for a subscription service is to expect upgrades included in that price. NOT a price increase for new features. Unless they are huge improvements and still always only as an Opt In. If we purchased a product, as I did with MYOB years ago. I can still use that product and open my old files. I decided when I would upgrade or not. When I moved to Xero with a subscription we became trapped into paying the upgrade fees as part of that subscription. So we expect the upgrades. Or at the very least to keep using what we started with without a price increase! Yes you can have anyone call me to discuss. I don’t need any of the standard responses already posted here thanks. New features should attract new customers if you want to increase revenues. Not punish the users that support you from early on! Thanks for your feedback, someone will be in touch in the next day or two to discuss your concerns.